Get ready for the Big Bang! 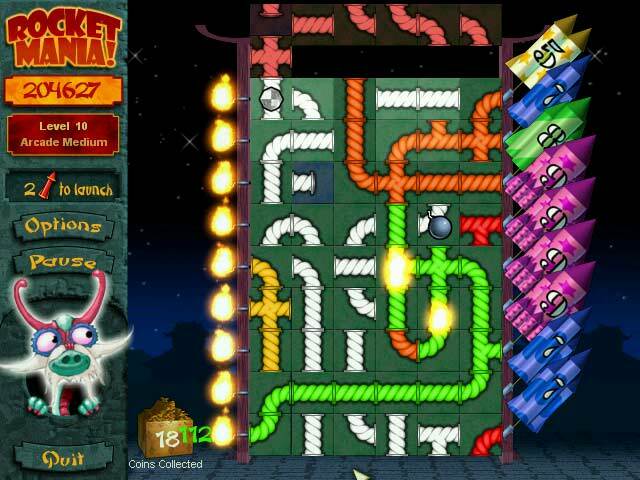 Rocket Mania Game is a pyrotechnic puzzle! Are you ready for pyrotechnic puzzle action? Twist and turn the fuses to link a burning match to one or more rockets, then watch the sparks fly! Three game modes: Classic, frantic Arcade with falling fuses which you can drag and slide, and untimed Strategy - a great way to practice your fuse-making skills and set up mega blasts! Booming sounds and gorgeous graphics round out this spectacular show! 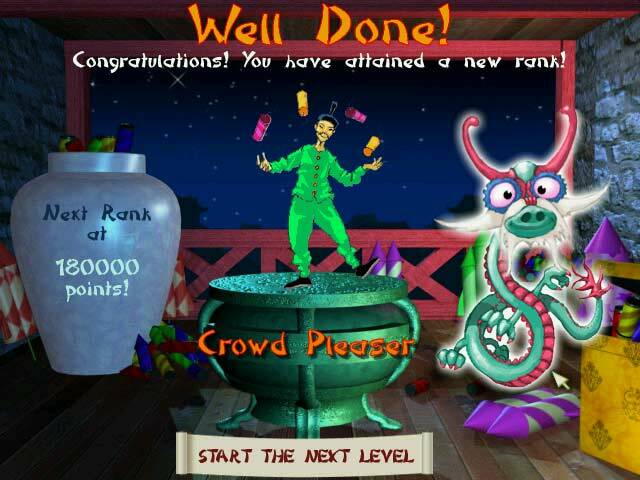 Classic, Arcade and untimed Strategy modes! Can you become the Master of Pyrotechnics? 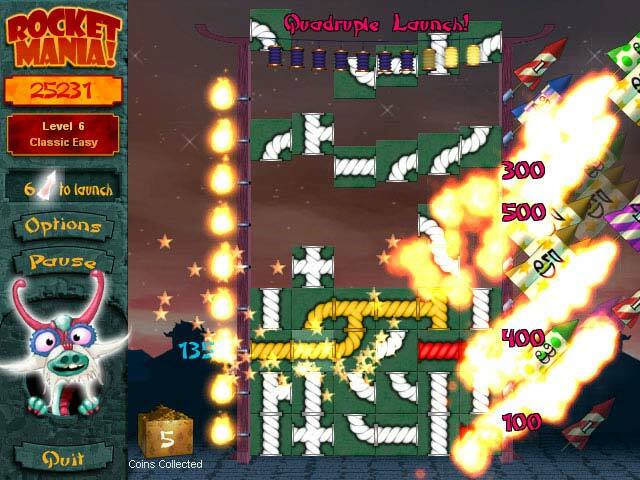 Rocket Mania Deluxe Game Now available on CD. Ordering the game is fast and easy, We use RegNow to process our ordering. They are leaders in online stores delivering reliable and safe online transactions.